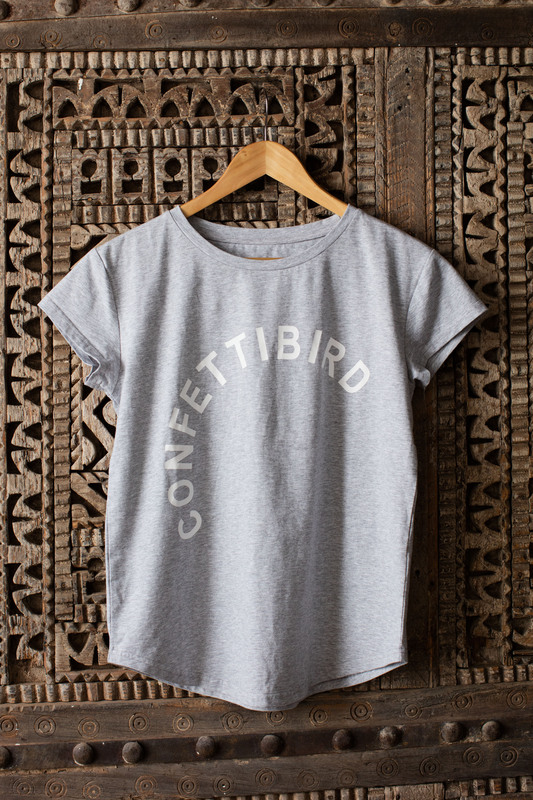 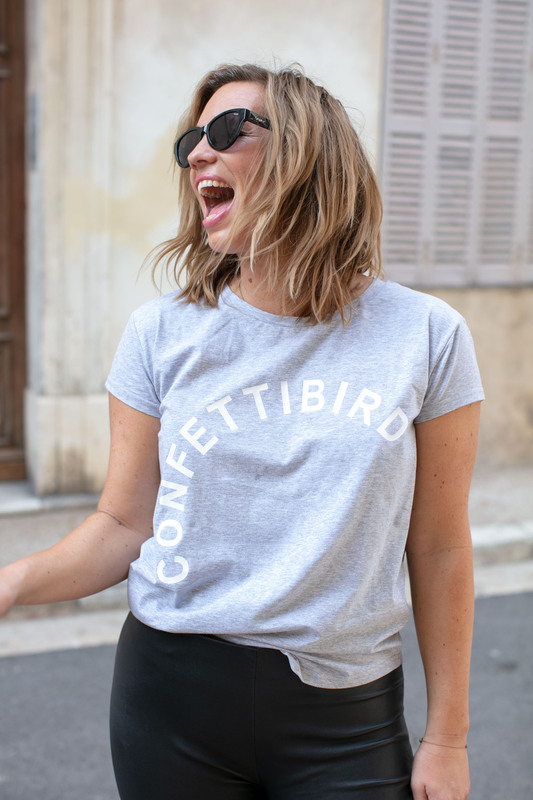 To all you confettibirds out there, this is made for you. 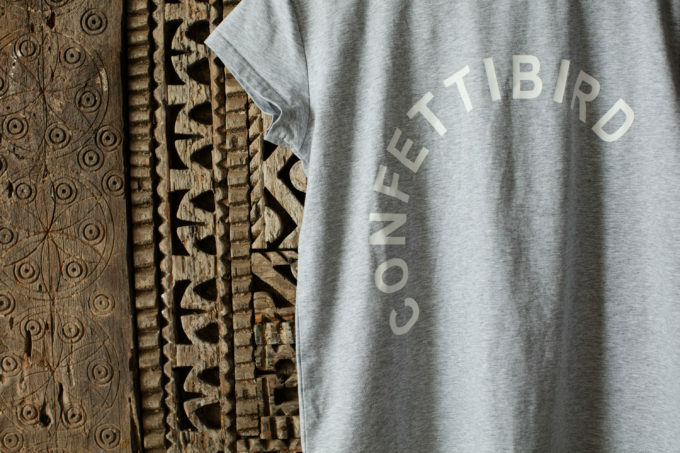 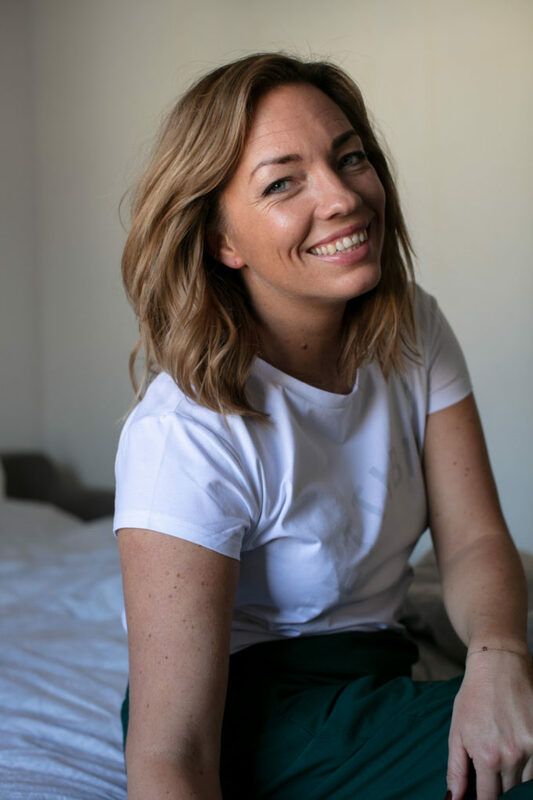 The t-shirt is cute but oversized in its shape, and is made out of 95% and 5% elastane. 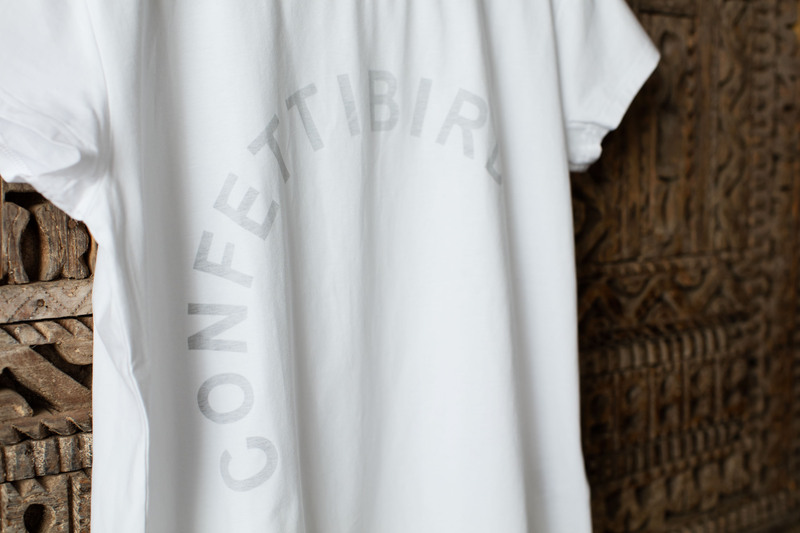 Soft and comfy, just the way be like it! 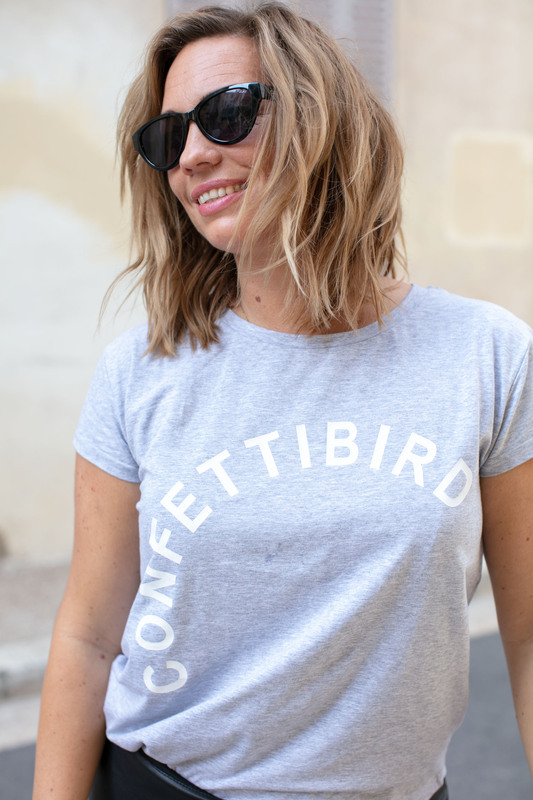 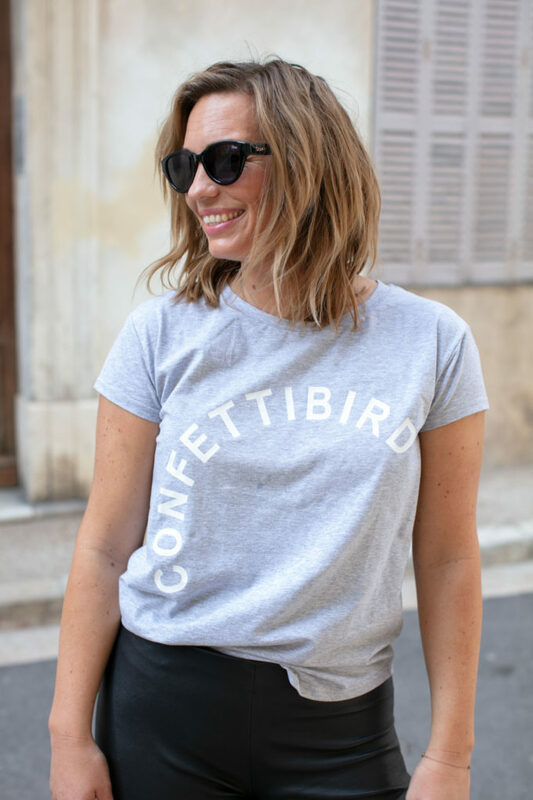 Confettibird Anneli is wearing size small.